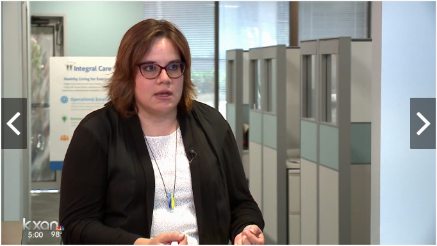 KXAN recently spotlighted the latest addition to the Austin Homeless Outreach Street Team, a partnership between Integral Care, Austin Police Department, EMS, and the Downtown Community Court that helps adults who are experiencing homelessness access housing, case management, mental and primary health care, and alcohol and drug treatment. On September 1, HOST welcomed a new Integral Care Peer Support Specialist, whose lived experience of homelessness will help him connect with the people we serve. Chris Laguna, Practice Administrator for Housing and Homeless Services, said, “It’s that shared experience of homelessness that would help them make an impact and really enhance the work that the HOST team is already doing.” To learn more, including insights from Herman Center Peer Support Specialist Bill Newcomb, check out the story here. Our Housing and Homeless Services team helps people move from homelessness to safe, stable housing. They’re out in the community every day working with our clients to reach their goals, whether that’s finding and keeping a job, getting connected to mental and physical health care, accessing benefits, or coping with a past trauma. When they’re not working directly with clients, the team occasionally takes the opportunity to brainstorm new ideas and identify ways to improve current processes. 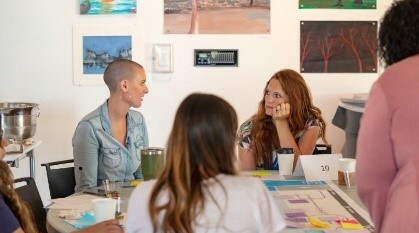 At last month’s half-day team building-session, the Housing and Homeless Services team collaborated, problem solved, and explored how each of them connects to the big picture. With homelessness on the rise in Austin, nonprofit leaders, lawmakers, businesses, and community stakeholders are working together to implement a comprehensive strategy to move people off the streets and into stable housing: Austin’s Action Plan to End Homelessness. 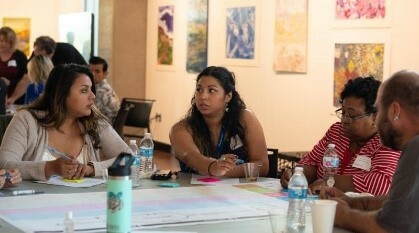 In July, nonprofits joined legislators for a community summit to discuss the Action Plan and brainstorm how to increase access to support services and housing options. 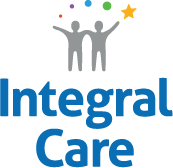 Integral Care, which provides housing assistance for adults living with mental illness and substance use issues, was invited to take part in the conversation. Our Director of Adult Behavioral Health Darilynn Cardona-Beiler joined Mayor Pro Tem Kathie Tovo and LifeWorks Executive Director Susan McDowell for a panel discussion moderated by Judy Maggio of KLRU’s Decibel program. By the end of the summit, local organizations and corporations had pledged $30 million to meet the plan’s first-year goal. For more information, read the Statesman coverage here. 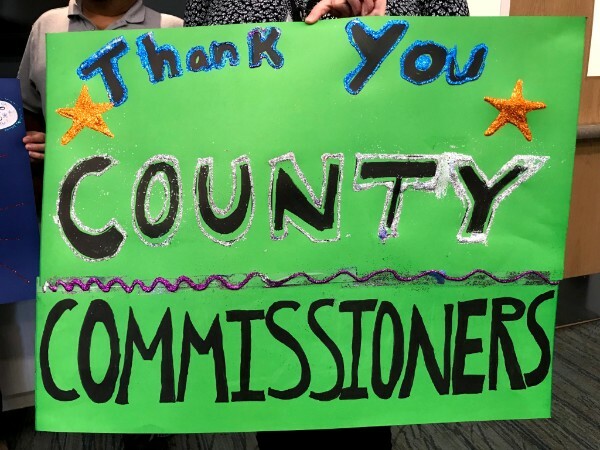 Last week, the Austin City Council and the Travis County Commissioners approved funding to keep our Expanded Mobile Crisis Outreach Team (EMCOT) in our community for another year. This program and our partnership with APD and EMS helps ensure that people get the care they need. Without this team, many adults and children experiencing a mental health crisis could find themselves in jail or in an emergency room, rather than receiving immediate aid from experienced mental health professionals. EMCOT steps in whenever and wherever adults or children are having a mental health crisis—whether at home, on the streets, at the office, or in a classroom—and provides them with the health services they need. Once the crisis has passed, EMCOT helps clients access other Integral Care programs and community resources to support their recovery. For people who are experiencing or are at risk of homelessness, EMCOT’s services are essential; last year, these individuals made up more than a third of EMCOT clients. After these clients’ immediate mental health needs are met, they are then connected to housing support, benefits, and ongoing care, making them much more likely to transition out of homelessness and secure stable housing. 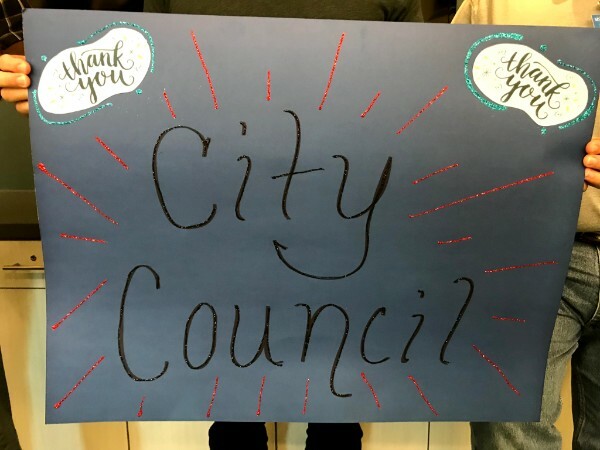 Many thanks to the City Council and Travis County Commissioners for supporting the health of our community and recognizing the importance of providing crisis support for Austinites. Through Austin Community Foundation Community Grants Program, Integral Care has received funding to purchase household items for the new residents of Housing First Oak Springs. These household items—like bath mats, toiletries, cutting boards, dish racks, trash cans—are what transform efficiency apartments into homes. With support from this grant, residents will work with an Integral Care staff member to shop for the kitchen and bathroom essentials they need to make their new apartments feel like their own unique spaces. Thanks to ACF for partnering with us to ensure our clients’ comfort as they work toward recovery at Housing First Oak Springs. We know that housing is more than four walls. It’s the basic foundation for mental health and well-being.